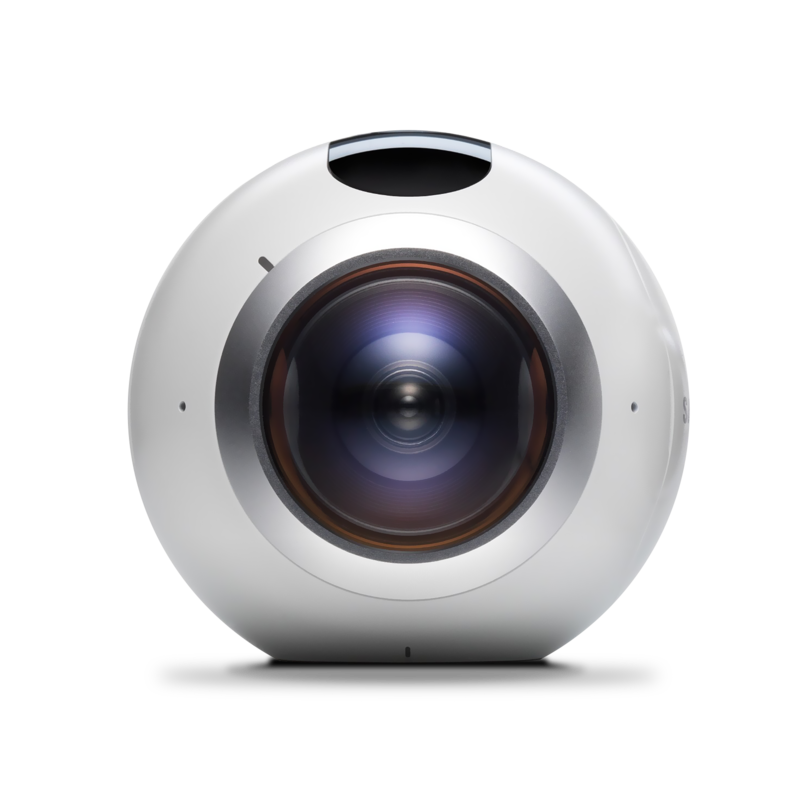 Announced at Mobile World Congress in Barcelona, Samsung has an awesome 360-degree camera that goes by the name Samsung Gear 360. The camera lets users capture, view and share 360-degree photos and video for everything from vacations to birthday parties to sports events. The footage can be edited with select Galaxy phones, and shared via social media or even viewed through the Gear VR. 360 videos are all over the place, and with VR becoming more and more popular, Samsung has now given users a simple way to create, edit and share 360-degree video anytime, anywhere. "Samsung continues to push the boundaries of the mobile experience to extend beyond the smartphone," said DJ Koh, President of Mobile Communications Business, Samsung Electronics. "On the heels of last year's Gear VR release, Gear 360 continues to push the limits on immersive content – providing a visual experience that makes capturing and sharing life's moments even easier." The small Gear 360 weighs in at just 153 grams, making it ultra-portable. The included tripod keeps things upright or the camera can be mounted to any third-party pods as well. It's splash proof and dust resistant, so you don't have to worry about getting it a bit messy. The dual fisheye lenses capture 3840 x 1920 360-degree video or 30MP still images. You can also shoot 180-degree wide angle video and photos. The Gear 360 supports storage via micro SD card can accommodate cards up to 128 gigabytes in capacity. When using the Gear 360 with a Galaxy S7 or S7 edge, users will be able to preview real-time footage and use the phone as a camera remote. Videos and images can then be saved or instantly shared. Gear 360 will be available to the masses in Q2 2016 for $349. The latest deal for Samsung's "12 days of joy" promotion lets you get a $30 discount on the Gear 360 along with a free Gear VR. Samsung is rolling out another wonderful promotion to coincide with pre-orders of a new device, offering up free gifts just for pre-ordering the Galaxy Note 8 in the three weeks from announcement to launch. Samsung and Major League Baseball want you to experience the spectacle of VR. Samsung is aggressively pricing the new Gear 360 to take on the competition, and it's going to work. The newest iteration of the Samsung Gear 360 is fun to use and adorable to look at, but how well does it work? There's a new Gear 360 in town, and it looks very different from the original. But is there anything new happening under the plastic? Even with beta software, there's still a lot to like about Samsung's heavily revised Gear 360. Good news, everyone! There's a new Gear 360 coming out from Samsung and it addresses the only real problem the last version of the camera had. Samsung's Gear 360 made its debut last year for $349, but you'll be able to pick one up on Amazon for $225 as long as you're a Prime subscriber. Black Friday just starts earlier and earlier every year, and as is now the norm Samsung is pre-announcing its deals before the sale even starts. After an impressively long rollout that involved multiple announcements, teases and pseudo-availability, Samsung has finally announced that the Gear 360 will be widely available from its retail partners starting August 19. A developer has modified Samsung's Gear 360 Manager app to run on non-Samsung phones. 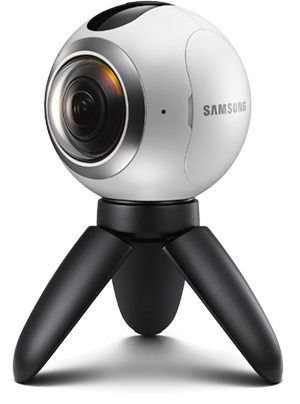 VidCon attendees get first dibs paying for the racquetball-sized 360 camera as Samsung opens its VR platform to user-generated content. If you're one of the lucky few (OK, more than a few) who already have a Samsung Gear 360 camera, you've got a firmware update waiting for you. Samsung's Gear 360 is a nifty accessory for shooting 360-degree videos and photos. In a recent blog post the South Korean vendor has detailed the hardware powering the camera.